Going to see Orlando's own professional NBA basketball team, the Orlando Magic, is a great way to spend some time in Orlando! 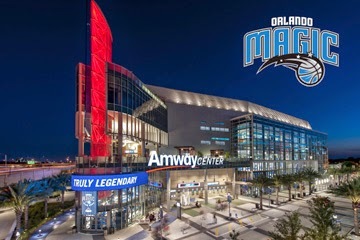 The Orlando Magic play at the Amway Center, about 30 minutes from Remy's Refuge. With 41 home games, there's bound to be a game while you're in town. You can check the schedule here and buy tickets here.